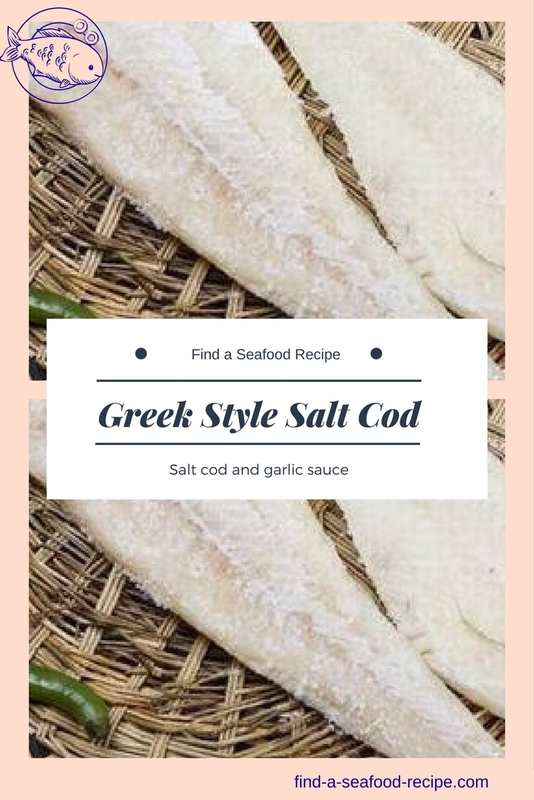 This recipe for salt fish is a Greek style cod in batter with a gorgeous garlic sauce, which you will use for many different meals. 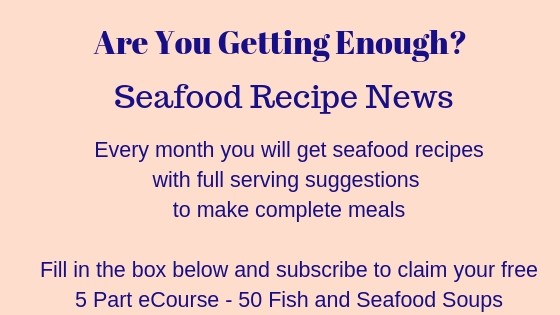 The fish will need soaking in cold water for about 24 hours before cooking - change the water frequently. Aim for three to four changes of water. It's necessary to do this to remove some of the saltiness from the fish. When you buy it, the fillets are like boards and so the soaking process softens it as well. 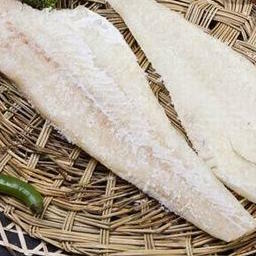 Rub your fingers over the soaked salt cod to find any bones and remove them with tweezers. 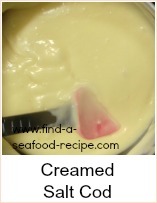 Mix the batter ingredients together and leave to stand for about 30 minutes. Put the bread into a bowl and moisten with cold water - leave for a few minutes to absorb the water. Squeeze the bread as dry as possible and then add the crushed garlic. Mix together really well with half the hot water. Gradually add the wine vinegar, mixing all the time. Add the olive oil gradually along with the rest of the water. It needs to be a pouring consisitency - so if it's too thick, add a little more water. Leave to stand whilst you cook the cod. Heat the oil in a pan until a cube of bread rises immediately to the top - you need about 1" (2.5cm) of oil. Dry the fish and then coat with flour - shake off the excess and coat throroughly in the batter. Fry for about 7 to 8 minutes - turning so that the batter is crisp and golden either side. 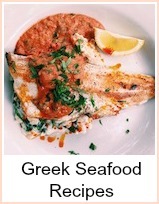 Serve either with the garlic sauce poured over or handed separately - a green salad and crusty bread would be great with this Greek style recipe for salt fish. It looks a bit like shoe leather until you soak it, but this recipe for Greek style salt fish is delicious.